Admissions in M.Tech. 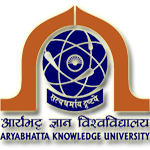 (Nano Science & Technology) & Ph.D (Nano Science & Technology/Education/Medical Science/Engineering & Technology) Programmes in Affiliated Colleges & Dept of Aryabhatta Centre for Nano Science & Nano Technology(ACNN) of AKU, Patna. Regarding Results of Pre Registration Test (PRT) Entrance Test, 2017 held on 09th July, 2017 of Ph.D. in Education, Medical Science and Engineering & Technology. Notification for Interview schedule on 31.07.2017 10:30 AM onwards. Date for Interview is 31.07.2017, 10:30 AM onwards. Successful candidates are informed to report in University Campus half an hour before interview with all academics documents along with ID Proof. Scheme of Entrance Test for Ph.D. & M.Tech.